Solar represents a big utility opportunity. Your customers are being hard-sold solar. Give them the tools to learn about solar on their terms, without being pressured by a salesperson. Our network of vetted solar installers helps utilities across the US aid their customers in comparing multiple quotes. Customers deserve choice, transparency and unbiased support. You can help them, and benefit from being their trusted energy advisor. We are your turnkey solar program vendor. EnergySage empowers utilities to provide its customers with guidance on all things solar – without needing to reinvent the wheel. We offer scalable, customizable online solar shopping tools under your brand. 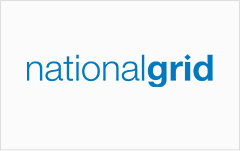 Our objective, vendor-neutral solutions give you peace of mind and delivers benefits to customers, installers and the utility. Win-win-win. Utilities value our consumer solar education and price transparency. "EnergySage is solar shopping wrapped in a warm security blanket. They offer the least bias and the most education." Customer solar assessment and solutions center. EnergySage offers utilities a range of services and solutions to serve their customers. The solar industry's most unique dataset, tailored to deliver insights specifically for your market. Want more details about how EnergySage helps utilities of the future? 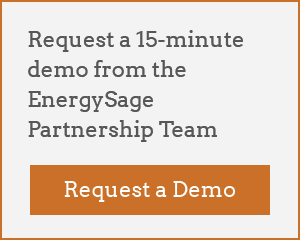 EnergySage is the partner of choice for utilities. View our utility overview PDF for more detail about how EnergySage works with utilities.